Post Medieval Copper alloy? farthing of William and Mary, 1694. Post Medieval copper alloy coin: Farthing of William and Mary dating 1694. 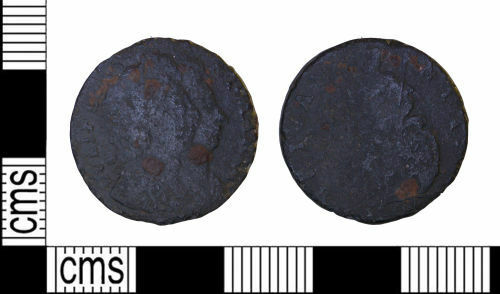 Post Medieval copper alloy farthing of William III and Mary II (1689-1694), date illegible, 1694 AD, Spink 3453.